It’s been an excellent period for Australian Nintendo fans recently. Over the past number of months the Aussie Club Nintendo catalogue has received regular updates - with yet another item being made available just earlier - and just yesterday, Nintendo Australia announced the launch of the long overdue Facebook and Twitter pages. Today, there’s even more exciting Nintendo news to deliver on the Australian front. When it comes to attendance at local Aussie gaming events such as PAX Australia and EB Expo, Nintendo Australia has top marks. It’s normally there with the biggest, brightest, and best booth displaying its latest and upcoming games. With this in mind, it’s no surprise it has today announced its commitment to this year’s upcoming Oz Comic-Con. 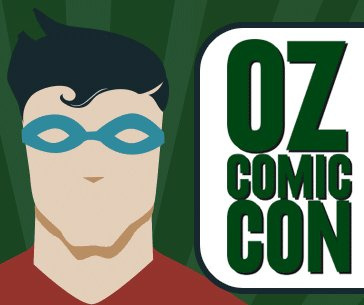 Nintendo Australia will be in attendance at all 5 Oz Comic-Con events, with the first two shows being in Perth on 29th - 30th March, and Adelaide from 5th - 6th April. As usual, attendees will have the chance to experience the latest Wii U and 3DS offerings. 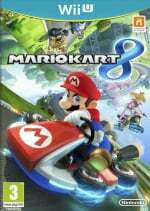 On the Wii U, fans will be able to test their skills on the track in Mario Kart 8 - well and truly prior the game’s local release on the 31st of May in both Australia and New Zealand (at least for those who live in Perth and Adelaide). Although, by the time the event makes it way to Melbourne, Brisbane and Sydney in the second-half of the year, the game will have been out for quite some time. On the 3DS front there’ll be Mario Golf: World Tour and Kirby: Triple Deluxe. Gamers in Perth and Adelaide will once again be fortunate enough to experience these titles prior to local release on 3rd and 17th May respectively, whereas the games will have already been released by the time the Melbourne, Brisbane and Sydney events roll round. In addition to the latest Nintendo titles, there'll be plenty of StreetPass action, and of course the chance to enjoy other quality games such as Pokémon X and Pokémon Y, Mario Party: Island Tour, Animal Crossing: New Leaf and Luigi's Mansion 2. No doubt Nintendo Australia will put its new Facebook and Twitter accounts to use at the event too, so it will be interesting to see how they utilise the platforms, and if its operation is in a similar fashion to the American, European and Japanese counter-parts. It's nice to see that NintendAU seem to be a little more active lately.